Microsoft has announced US pricing for those wishing to upgrade their Vista installations to a better version. UK costs will follow, but the facility will be available as soon as Vista is released on 30 January. Windows Anytime Upgrade is a new facility within Windows Vista that enables you to get a 'higher-grade edition'. So, if you have Windows Vista Home Basic, you can upgrade to Home Premium or Ultimate Edition without having to reinstall. To use Windows Anytime Upgrade, simply click on the Windows Anytime Upgrade option in the Vista Start menu. From there you can select the desired upgrade edition and purchase a new key online. Microsoft will also make detailed feature-by-feature information on the different Windows Vista editions available through the service. 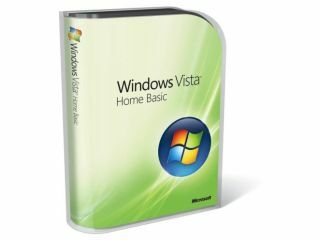 The manufacturer's suggested retail prices to upgrade to more premium editions of Windows Vista are as follows: Home Basic to Home Premium $79; Home Basic to Ultimate $199; Home Premium to Ultimate $159; and Business to Ultimate $139. Windows Anytime Upgrade will initially be available in the USA, Canada, Europe and Japan.